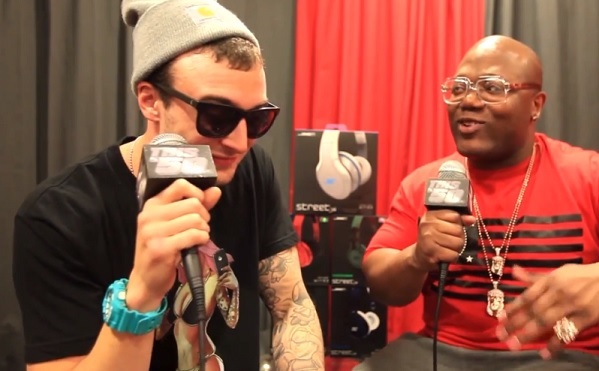 ThisIs50’s Jack Thriller catches up with Connecticut’s Chris Webby for a one-on-one interview. The rising talent kicks things off by clarifying he doesn’t have any kids and admits to audiences he’s not a role model, however, his story is not only authentic but it’s admirable. As the conversation between the two continued, Webby opens up about a past mushroom trip that left him freaking out, why his ideal pet would be a small monkey and being happy with the his new Homegrown sales. Before calling it a wrap, Chris shares some details with fans about what they can expect to hear on his forthcoming LP. This entry was posted in Interview, Video and tagged chris webby, hip hop, homegrown EP, Interview, jack thriller, mushroom, rap, this is 50. Bookmark the permalink.